Art Hopkins, a First Responder from Danbury, has been deployed to Columbia, South Carolina in advance of Hurricane Florence. He will serve as a Shelter Supervisor. Art and six other responders from Connecticut are among 3,000 volunteers from the Connecticut and Rhode Island Region of the Red Cross. "We anticipate more responders being requested over the coming days," says the Red Cross. According to the Red Cross, Hurricane Florence is an extremely dangerous storm and on track to strike the coast of South Carolina or North Carolina beginning Wednesday. States of emergency have been declared in Virginia, North Carolina and South Carolina. Even after making landfall, Florence could bring heavy rain all the way to New England. 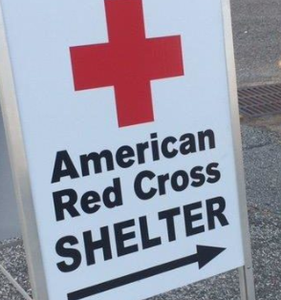 The Red Cross is preparing to respond and urges anyone in the path of this hurricane to get ready too. Red Cross disaster workers are standing by and relief supplies and equipment are being moved into the region. The Red Cross is also working in close collaboration with government officials and community partners to coordinate potential response efforts. People in the path of these storms should stay informed and take steps to get prepared now. Listen to local radio, NOAA radio or TV stations for the latest information and updates and obey any evacuation orders from local officials. The Red Cross urges these three steps: (1) build a disaster kit; (2) come up with an emergency plan; and (3) be informed about how local authorities will notify you, whether through local media or NOAA Weather Radio stations or channels.You should also download the free Red Cross Emergency App to have real-time information about the storm, shelter locations and hurricane safety tips at your fingertips. The Emergency App is available in app stores by searching for the American Red Cross or going to redcross.org/apps.